Gilligan's Island (The Complete First Season - BUY THIS DVD! After a pleasure tour goes awry, a group of unassuming strangers find themselves stranded on an island in the South Pacific. Forced to rely on one another in order to survive, the castaways also find the time to bicker and battle. Join Gilligan (Bob Denver) and the rest of the gang in every episode from the classic show's first season. 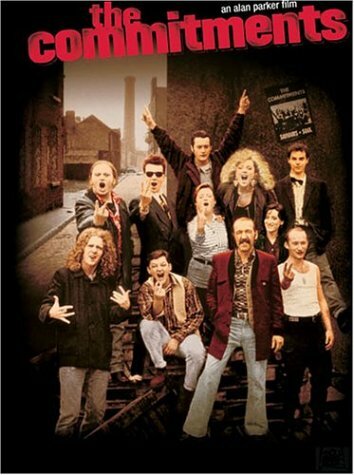 The Commitments (Collector's Edition) - BUY THIS DVD! Alan Parker's THE COMMITMENTS, based on Roddy Doyle's buoyant debut novel, follows the enjoyable travails of a band cobbled together by young Jimmy Rabbitte (Robert Arkins), whose vision is to bring soul music to Dublin. After putting an ad in the local paper, Jimmy assembles an unlikely group of musicians who, though nervous, raw, and rough, make music that speaks to something very near the heart of their audience of curious kids and sharp-tongued, sarcastic relatives. As the band nears its big break, egos clash and expectations of fame and fortune start to tear them apart, forcing Jimmy to fight desperately to keep them together. HOW TO WIN? SIMPLE. FIRST - Rate and place your comments to ANY 5 movies in our database. (Start with "The Commitments" - Wink!) Just scroll down to the bottom of any review, drop a quickie comment and click "Submit Your Comments". THEN SEND IN YOUR NAME AND ADDRESS TO contests@efilmcritic.com. Put "TRY A LITTLE TENDERNESS" in the subject line and cross your fingers. There will be 5 lucky winners of the DVD. We will draw names and one of the DVDs from Fox will be yours. Only 1 entry per household. 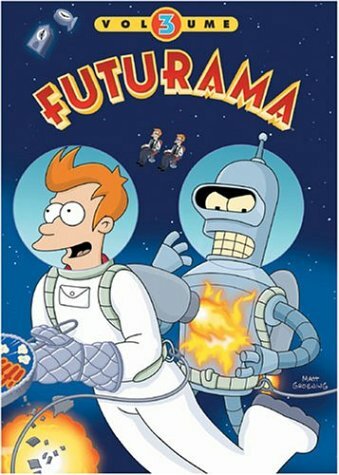 Futurama Volume 3 - BUY THIS DVD! This is the third volume in Matt Groening's hilarious animated sci-fi satire, which won the 2002 Emmy Award for "Outstanding Animated Program." Featuring the voices of Billy West and Katey Sagal, in addition to many surprise guests, FUTURAMA is a show that only gets better with subsequent viewings. HOW TO WIN? SIMPLE. SEND IN YOUR NAME AND ADDRESS TO contests@efilmcritic.com. Put "FUTURAMA 3" in the subject line and cross your fingers. There will be 5 lucky winners. We will draw names and one of the DVDs from Fox will be yours. Only 1 entry per household. H.R. 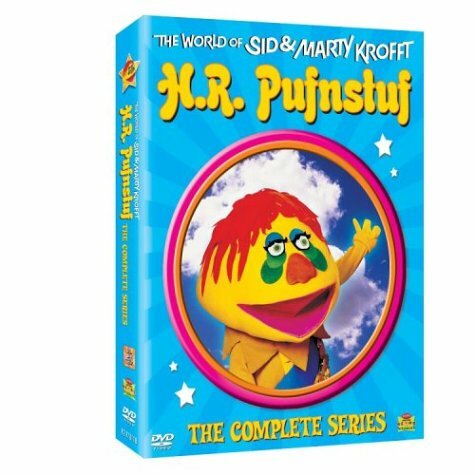 Pufnstuf (The Complete Series) - BUY THIS DVD! This box set contains every single R.H. Pufnstuf episode ever made, which comes to a total of 17 episodes. Each episode has been digitally remastered from the original. This is a must-have for all fans of Pufnstuf! HOW TO WIN? SIMPLE. SEND IN YOUR NAME AND ADDRESS TO contests@efilmcritic.com. Put "PUFNSTUF" in the subject line and cross your fingers. There are five box sets for our winners. We will draw names and one of the beautiful packages from Rhino will be yours. Only 1 entry per household. Alice In Wonderland (Masterpiece Edition) - BUY THIS DVD! MXP (Most Extreme Primate) - BUY THIS DVD! After a thrilling year spent playing hockey with the Seattle Simians and learning how to skateboard, Jack the chimp masters snowboarding in MXP: MOST XTREME PRIMATE. His new, action-packed snowboarding skills come in handy when he teams with two brothers, left home alone, to fight two very bad criminals. This film combines all the action of snowboarding and extreme sports with the drama of a comic crime caper. Pokemon Heroes - BUY THIS DVD! The fifth movie in the popular animated Pokemon series, POKEMON HEROES sets the course for a fun new adventure. An island city is the location of this leg of the gang's travels, where Pikachu, Ash, and other well-loved Pokemon go up against a tricky duo of thieves. Two new Pokemon join up with the friends, Latias and Latios, who have special psychic powers. HOW TO WIN? SIMPLE. SEND IN YOUR NAME AND ADDRESS TO contests@efilmcritic.com. Put "BUENA VISTA FAMILY" in the subject line and cross your fingers. There are five sets for our winners. We will draw names and one of the beautiful packages from Buena Vista will be yours. Only 1 entry per household. Under the Tuscan Sun - BUY THIS DVD! Who hasn't dreamed at least once of running off to a foreign country and starting a new life? That's exactly what Frances (Diane Lane) does in UNDER THE TUSCAN SUN, directed by Audrey Wells (GUINEVERE). Traveling in Tuscany after a heart-wrenching divorce, Frances surprises herself by making an offer on a rundown villa--the biggest impulse purchase of her life. With the help of a warmhearted, smitten real estate agent and a local contractor with a team of Polish workers, her 300-year-old house is slowly transformed into a home. Along the way, she encounters a larger-than-life British ex-patriot, kind and generous neighbors, and a charming Italian man or two. Essentially, the film is an affirmation that good things can happen if one lets them--and that sometimes what seems like a terrible mistake or a crazy idea is a really a blessing. Lane is completely engaging as Frances, second-guessing her speedy purchase, looking for love, and rediscovering herself. Based on the book by Frances Mayes, the film was shot on location in Rome, Florence, Positano, and Cortona in Italy. The breathtaking scenery is sure to have viewers saving their pennies for next year's vacation--or their Tuscan dream house. HOW TO WIN? SIMPLE. SEND IN YOUR NAME AND ADDRESS TO contests@efilmcritic.com. Put "UNDER DIANE LANE" in the subject line and cross your fingers. There are five box sets for our winners. We will draw names and one of the beautiful packages from Buena Vista will be yours. Only 1 entry per household. Dark Shadows (Collection #9) - BUY THIS DVD! Dark Shadows (Collection #10) - BUY THIS DVD! Originally a daytime soap opera, DARK SHADOWS garnered a huge cult following during its original 1966-1971 run and separated itself from its peers by dealing with increasingly bizarre and daring story lines. Covering episodes 534-574 in the series, this 4-disc set continues the saga of Barnabas Collins, a 200-year-old vampire living on his family's manor estate in Collinsport, Maine. The Sherlock Holmes Collection (Volume 1) - BUY THIS DVD! The Sherlock Holmes Collection (Volume 2) - BUY THIS DVD! The UCLA Film and Television Archive has preserved and digitally restored to original condition the classic Sherlock Holmes films starring Basil Rathbone and Nigel Bruce, bringing the visual beauty of the original 35mm images into stunning focus. For even more authenticity, the movies include period war bond tags, studio logos, and credits from the original theatrical releases. The Return of Sherlock Holmes (DVD Collection) - BUY THIS DVD! Jeremy Brett and Edward Hardwicke star in these Granada Television movies as Sherlock Holmes and Dr. Watson. HOW TO WIN? SIMPLE. SEND IN YOUR NAME AND ADDRESS TO contests@efilmcritic.com. Put "SHERLOCK SHADOWS" in the subject line and cross your fingers. There is one set of the five for our winner. We will draw names and the beautiful package from MPI will be yours. Only 1 entry per household.